There are so many things that were collectible back in the 1940's and 1950's and a lot of it was advertising. There weren't as many venues to advertise as there are now a days, the internet sure has changed a lot of advertising. Vintage Matchbooks and Matchbook covers were very popular during those times and are very collectible. During the 1940's and 1950's many people smoked, a large percentage of the population were smokers back then. Zippo lighters were the lighters of choice, but most people had matches. 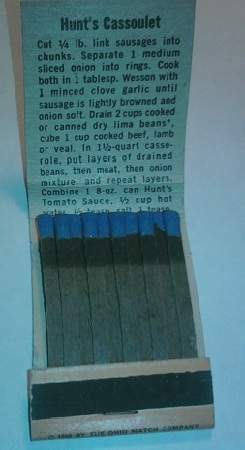 Matches usually came with a pack of cigarettes when you bought your smokes, even out of the cigarette machines even in the 1960's and 1970's you would get a pack of matches with your pack of cigarettes. Matchbooks were a huge advertising outlet back in the day, ranging from motels and hotels, restaurants, products you would buy, political advertising, medicines and more. In the post I'm basically going to give you the information on the matchbook and post some pictures so you get an idea what the matchbooks looked like back then. Personally I think they have a classic look and really like them to look at and I'm sure for the people of that era, they must bring back some past memories. I kind of relate them to looking at vintage Readers Digest magazines, I like reading the articles from back then, as well as looking at the advertising and looking at the coupons in the magazines, it brings back memories of some products that are no longer around. This first match is for the Kennedy's Inn in Binghamton NY on Upper Front Street, it's need the phone number was 4-9870, it says on the front Excellent Food, Good Liquor, Wine and Beer, We Cater to Parties. Inside it's blank but there are matches inside, it looks like the striker strip on the front was only used once or twice and that's about how many matches are missing. On the back of the matchbook is a Risque Image of a woman, with the caption A SWEET JOB. Here is the Matchbook cover - back side of the matchbook. 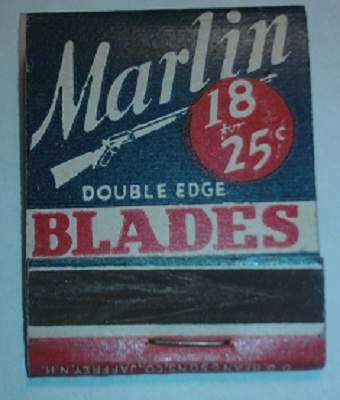 The next Collectible Matchbook is an advertising matchbook for Marlin Double Edge Blades 18 for 25. Inside the matchbook it has New ! Marlin 39 Shave Cream with some matches missing as well. 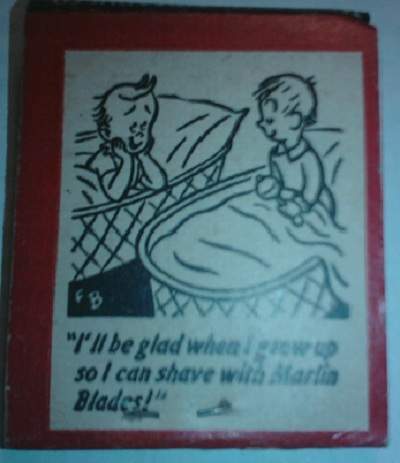 On the back is a cartoon, with two little babies (kids) in what looks like bassinets with the caption "I'll be glad when I grow up so I can shave with Marlin Blades". 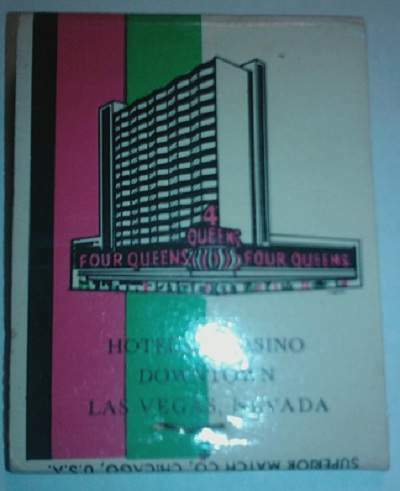 The next one is an Advertising Matchbook for the Queens Four Hotel and Casino in Las Vegas. That makes this matchbook even more appealing, it's collectible because it's a matchbook, and it's more collectible because Vintage Las Vegas items are very collectible. 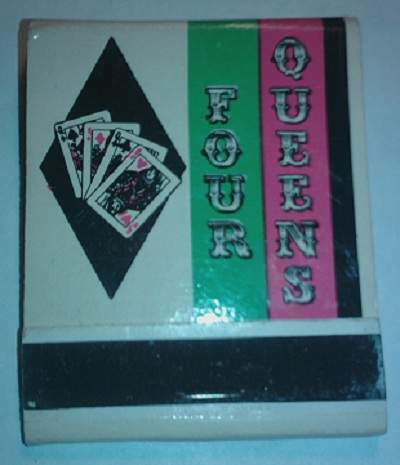 This one has the logo and name of Four Queens on the front and on the back it has an illustration of what the hotel and casino look like. On the inside it has FOUR QUEENS Casino, Slot Machines, Keno, Coffee Shop, Cocktail Lounge, Snack Bar, Entertainment, Card Room, Beauty Salon. 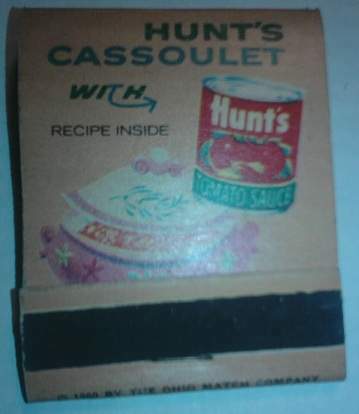 The next example in my opinion is kind of neat, it's an advertising matchbook for Hunt's Tomato sauce, with Hunt's Cassoulet With Recipe Inside on the front, and America's Favorite by far, with an illustration of the can on the back. Inside there really is a recipe. 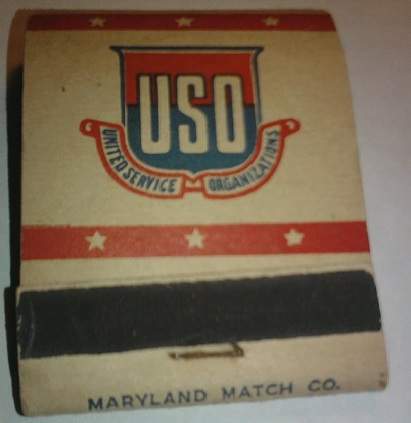 The next is a basic USO Vintage Collectible Matchbook. On the front it has the USO Logo with United Service Organization, with more Organizations on the back. It is blank inside, but is a classic World War II War time collectible matchbook. 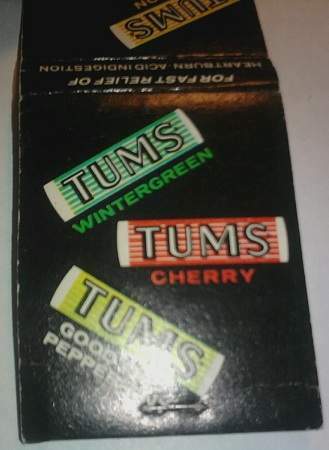 The last one is for Tums Antacids with images of the product they are advertising on the matchbook. Inside is a write up on NR Nature's Remedy from the makers of Tums, it's a Laxative they made, apparently lol. 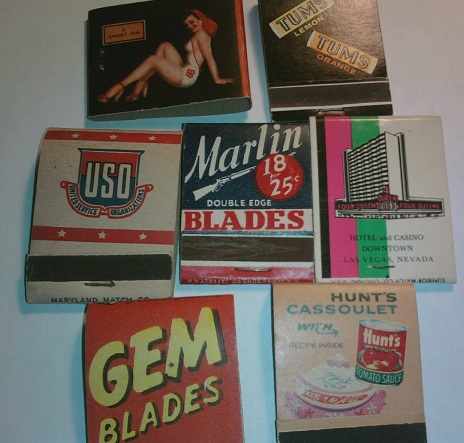 And here they are all together just so you can compare the different styles that were available back in the day, for advertising on matchbook covers.